Abuja is the capital city of Nigeria. It is located in the center of Nigeria, within theFederal Capital Territory (FCT). 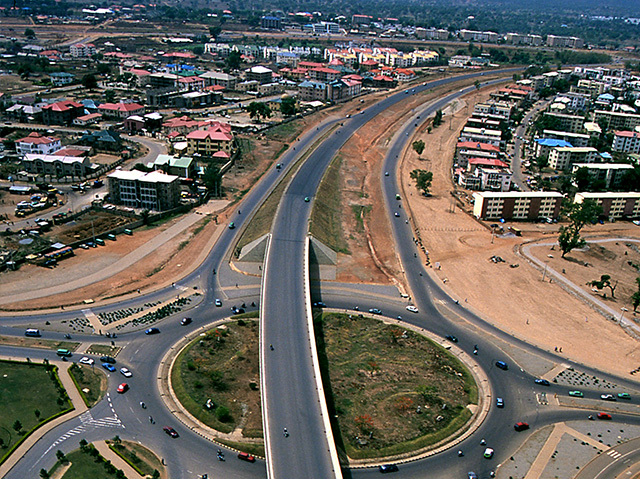 Abuja is a planned city, and was built mainly in the 1980s. It officially became Nigeria's capital on 12 December 1991, replacing Lagos, which is still the country's most populous city. At the 2006 census, the city of Abuja had a population of 778,567, making it one of the top ten most populous cities in Nigeria. 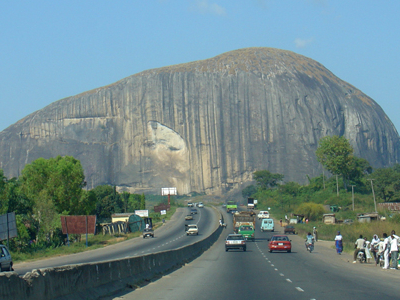 Abuja's geography is defined by Aso Rock, a 400-metre monolith left by water erosion. The Presidential Complex, National Assembly, Supreme Court and much of the town extend to the south of the rock. Other sights include the Nigerian National Mosque and the Nigerian National Christian Centre. The city is served by the Nnamdi Azikiwe International Airport, while Zuma Rock lies nearby. Abuja is known for being the best purpose-built city in Africa as well as being one of the wealthiest and most expensive; however, the population on the semi-developed edges of the city are living in rural areas such as Karu, Nasarawa State. In light of the ethnic and religious divisions of Nigeria, plans had been devised since Nigeria's independence to have its capital in a location deemed neutral to all parties. The location was eventually designated in the centre of the country in the early 1970s as it signified neutrality and national unity. Another impetus for Abuja came because of Lagos' population boom that made that city overcrowded and conditions squalid. The logic used was similar to the way Brazil planned its capital, Brasília. Construction broke ground and was dedicated in the late 1970s but, due to economic and political instability, the initial stages of the city were not complete until the late 1980s. The master plan for Abuja and the Federal Capital Territory (FCT) was developed by International Planning Associates (IPA), a consortium of three American firms: Planning Research Corporation; Wallace, McHarg, Roberts and Todd; and Archisystems, a division of the Hughes Organization. The master plan for Abuja defined the general structure and major design elements of the city that are visible in the city's current form. More detailed design of the central areas of the capital, particularly its monumental core, was accomplished by Kenzo Tange, a renowned Japanese architect, with his team of city planners at Kenzo Tange and Urtec company. Most countries relocated their embassies to Abuja, and many maintain their former embassies as consulates in Lagos, still the commercial capital of Nigeria. Abuja is the headquarters of the Economic Community of West African States (ECOWAS) and the regional headquarters of OPEC. Abuja and the FCT have experienced huge population growth; it has been reported that some areas around Abuja have been growing at 20% to 30% per year. Squatter settlements and towns have spread rapidly in and outside the city limits. Tens of thousands of people have been evicted since former FCT minister Nasir Ahmad el-Rufai started a demolition campaign in 2003.
and Guzape District Cadastral Zone A09. Abuja's Central District is between the foot of Aso Rock and into the Three Arms Zone to the southern base of the ring road. It is like the city's spinal cord, dividing it into the northern sector with Maitama and Wuse, and the southern sector with Garki and Asokoro. While each district has its own clearly demarcated commercial and residential sectors, the Central District is the city's principal Business Zone, where practically all parastatals and multinational corporations have their offices. An attractive area in the Central District is the region known as the Three Arms Zone, so called because it houses the administrative offices of the executive, legislative and judicial arms of the federal government. A few of the other sites worth seeing in the area are the federal secretariats alongside Shehu Shagari Way, Aso Hill, the Abuja Plant Nursery, Eagle Square (which has important historic significance, as it was in this grounds that the present democratic dispensation had its origin on May 29, 1999) and the Tomb of the Unknown Soldier across the road facing it. The National Mosque and National Church of Nigeria are opposite each other on either side of Independence Avenue. A well-known government office is the Ministry of Defence, popularly nicknamed "Ship House". Garki is presently the principal business district of Abuja. Numerous buildings of interest are in this area. Some of them include the General Post Office, Abuja International Conference Centre along the busy Herbert Maculay Way, Nicon Luxury Hotel (formally known as Abuja Sofitel Hotel and Le Meridian), Agura Hotel and Old Federal Secretariat Complex Buildings (Area 1). 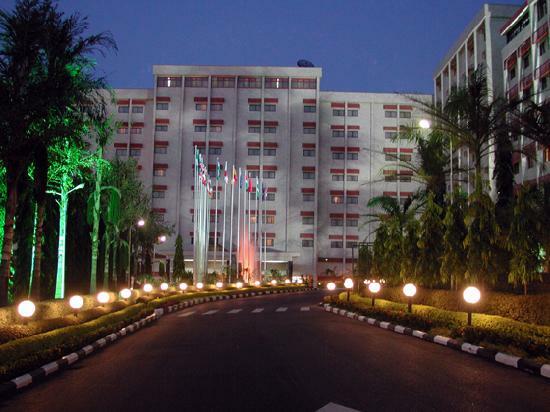 A new five-star hotel, Hawthorn Suites Abuja, is in Garki II. Maitama District is to the north of the city, with the Wuse and Central Districts lying to its southwest and southeast respectively. 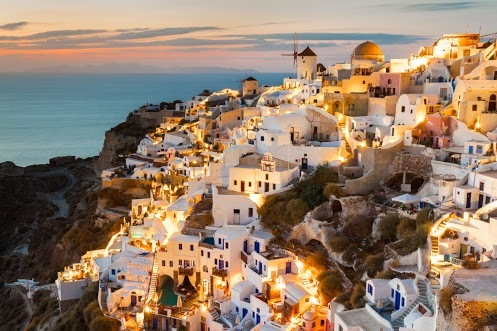 This area is home to the top bracket sections of society and business, and has the reputation of being very exclusive and very expensive. Interesting buildings include the Transcorp Hilton Hotel, National Communications Commission Headquarters (NCC), National Universities Commission (NUC), Soil Conservation Complex, and Independent National Electoral Commission (INEC). The British High Commission is located along Aguiyi Ironsi Way, in Maitama. Also, the Maitama District Hospital is another notable building in Maitama. Maitama District is home to many of the European embassies. Asokoro District, the doyen of the districts, houses all of the state's lodges/guest houses. The ECOWAS secretariat is a focal point of interest. Asokoro is to the east of Garki district and south of Central district. It is one of the most exclusive districts of Abuja and houses virtually all of the federal cabinet ministers; in addition, the Presidential Palace (Aso Rock) is in Asokoro district. By virtue of this fact, Asokoro is the most secured area of the city. Gwarimpa is the last district in the Abuja Municipal Area Council. It is a 20-kilometer drive from the central district and contains the largest single housing estate in Nigeria, the Gwarimpa Housing Estate. The estate was built by the administration of General Sani Abacha and is the largest of its kind in Africa. It provides residence for the majority of the civil servants in federal ministries and government parastatals. The ECOWAS Court has an official quarters for the President and Members of the Court in Gwarimpa. Abuja under Koppen climate classification features a tropical wet and dry climate. The FCT experiences three weather conditions annually. This includes a warm, humid rainy season and a blistering dry season. In between the two, there is a brief interlude of harmattan occasioned by the northeast trade wind, with the main feature of dust haze, intensified coldness and dryness.